The award-winning Ultimatesafe 32L anti-theft adventure travel pack not only meets international maximum carry-on standards, it’s ideal for long weekends away and is large enough to store all your gear.The covert built-in stainless steel wire cage can be locked closed and to a fixed object, providing the ultimate protection against thieves. A special blocking material prevents high tech identity thieves from downloading and stealing personal information stored on your passport and credit cards. The shoulder strap is reinforced with stainless steel wire which prevents it being easily cut so that the bag can’t be easily taken. The shoulder strap also has a releasable security hook at one end that allows you to attach the strap to a fixture, to stop thieves from easily walking off with your bag. With slash-proof steel wire sewn into the bag and straps, tamper-proof zippers, and an RFID pocket that blocks electronic theft of your credit card and passport info, the UltimateSafe 32L is a thief’s worst nightmare. It includes a removable, wire-reinforced 20L TravelSafe storage bag for locking valuables in your hotel room, and a removable, padded laptop sleeve. Travel with confidence and relax knowing your gear is secure. 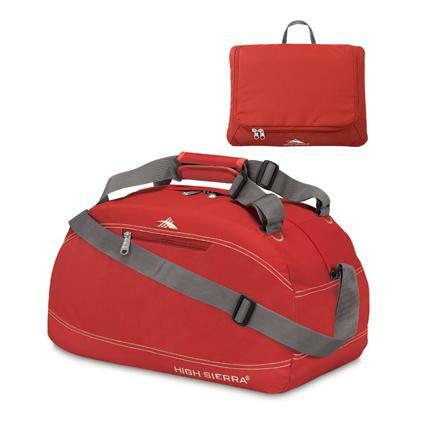 High Sierra 24 Inch Pack-N-Go Duffel Bag: A Duffel that Packs into its own Pouch! The High Sierra 24 Inch Pack-N-Go Duffel Bag fits everything the active lifestyle requires and plenty more. This airline carry-on size tote is two bags in one! With a loop for hanging plus a zippered pouch and several mesh compartments inside, the toiletry kit is good on its own. 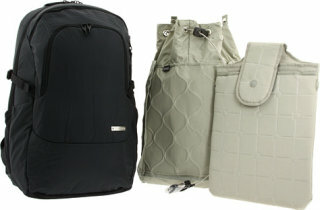 Then, you can use the main bag as a regular duffel or wear it like a backpack. Features include a large main compartment with zippered opening, handle straps that convert into convenient backpack straps, and easy-access pocket that keeps essentials close at hand. 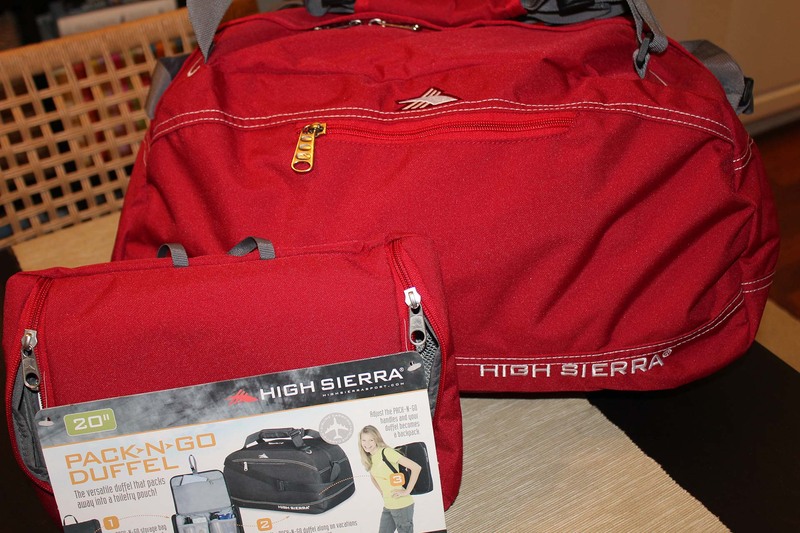 A second bag that works as a carry-on and a toiletry kit all for 20 bucks, the High Sierra 24 Inch Pack-N-Go Duffel Bag seems too good to be true, but you can verify it for yourself at High Sierra Sport Company. 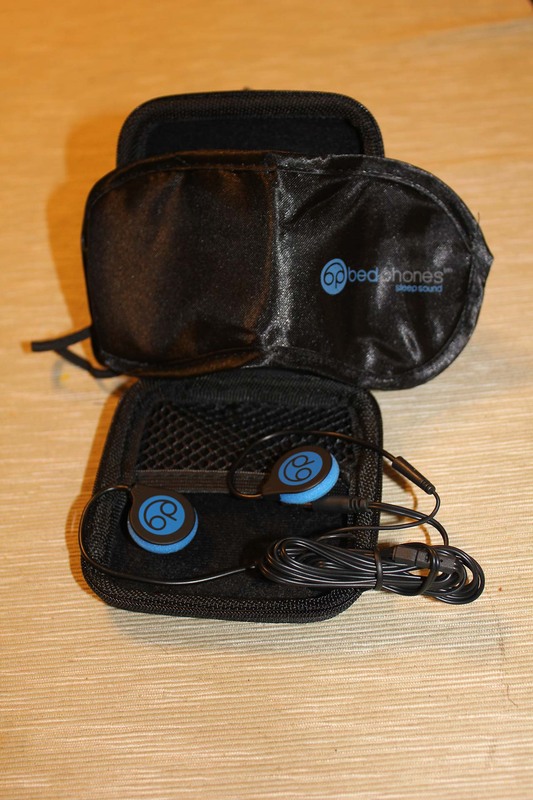 Bedphones are so light, soft, thin, and comfortable, you can listen to them while you sleep. 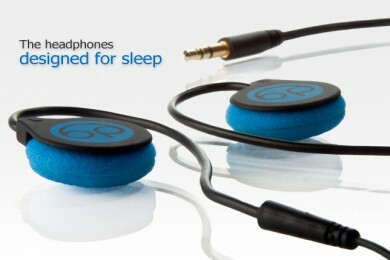 At less than 1/4” thick, these soft, foam-covered headphones are the thinnest in the world. The earhooks are made from gentle, rubber-coated memory wire that’s infinitely adjustable for a custom fit. Wear the cable down your back and tighten with the included cable slider to keep Bedphones secure all night long.The on-ear design lies so flat against your ears, Bedphones practically disappear between your ears and your pillow or the seat of the plane. 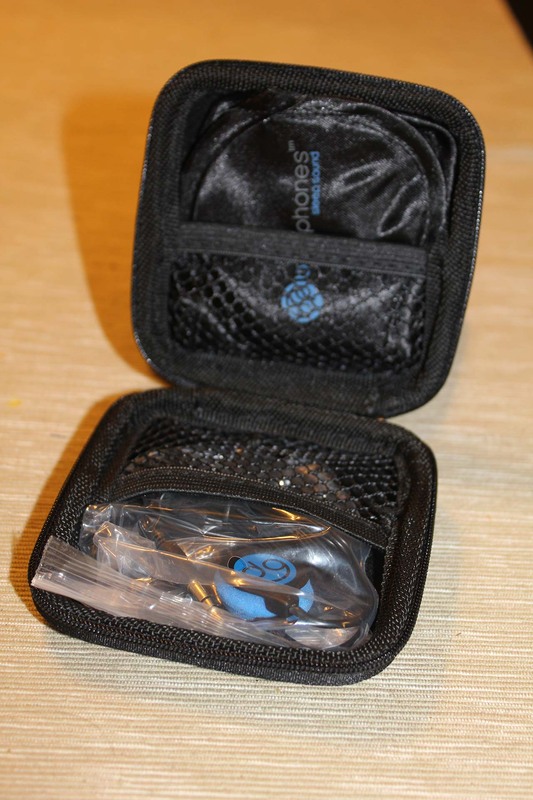 Bedphones are the perfect travel companion, so keep them safe on the go with the included sturdy-sided travel case. And for those long plane, train, car, and boat rides, there is a super-comfy satin eye-mask included. 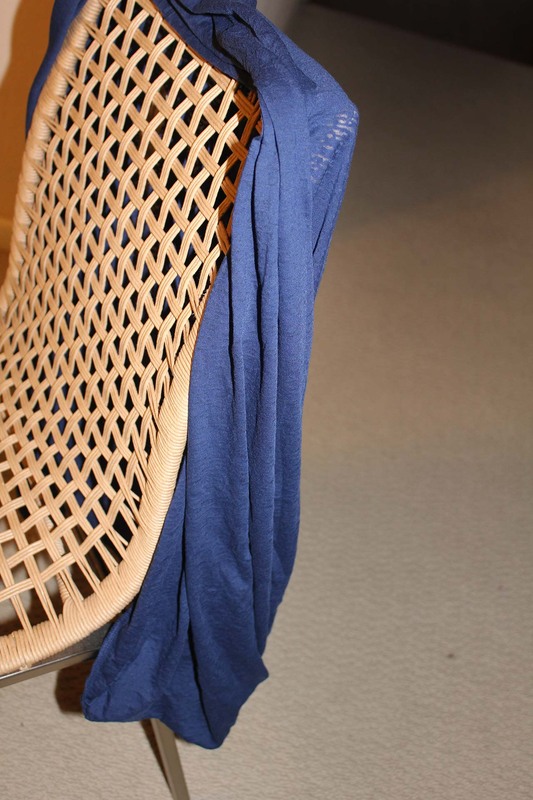 SeV Lucy Cardigan: Need more pockets? 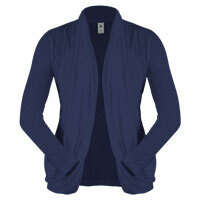 Great for travel, The Lucy Cardigan packs small and is wrinkle-resistant. It can work in all seasons and the trendy burnout material works for morning, afternoon, or evening. The Lucy has four pockets: two built in to the design, the “pouches”, and two small zippered pockets inside those. You’ll never again complain that you don’t have a pocket for your cell phone, keys, money, and gadgets. It makes a great layer when you don’t quite know what to expect. 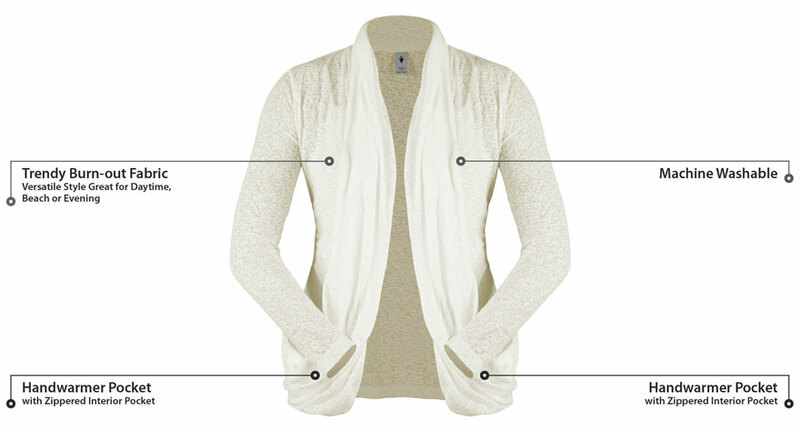 The draping in the front is pretty and feminine, making the cardigan both casual and dressy. Comfortable, lightweight, versatile, and machine washable, you’ll be prepared for just about anything. If you’re looking for one piece to fit all of your travel needs, The Lucy Cardigan is the perfect fit. Accessories like these will make you the envy of fellow travelers and put you in the comfort of the driver’s seat. This entry was posted in Product Reviews, Reviews, Travel, Uncategorized, USA, vacation, Vacations and tagged accessories, Adrenaline, adventure, backpacking, backpacks, bucket list, Bucket List Publications, carryon, Children, culture, Family, gear, Getaways, headphones, Lesley Carter, life, luggage, photo, photography, Product Review, products, Review, travel, USA, vacation, Vacations by lesleycarter. Bookmark the permalink. Ohhh makes me want to travel! Thank you for sharing this information. I’m returning to Haiti in October on a mission trip and I’ve been looking for a better backpack than the one I had in college (many moons ago!). Plus, I’m also going to the Holy land (Israel) in January – that cardigan will be perfect for cool mornings and evenings. Thanks again, I have some things to add to my “wish list” before departure! Want that backpack!! Bought a PacSafe for my Southeast Asia trip and it was great look forward to buying more products from them! I think they’ll be the only pack I buy for now on. Do you have any travel plans on the horizon? Yes — plenty (in my head)! My boyfriend just got out of the army too and I’d like to show him the world. We’re planning Europe because that’s where he’d like to go so in process of planning that for next year. This year will just be in the U.S.
Love this! And if anyone would know…it would be you 🙂 Still living vicariously through you! Geez this is seriously intense!!! Thanks for this info on the Ultimatesafe 32L! I’m going to be in Austria in July and the last time I was there my passport was stolen out of my purse, so this is very timely information for me. I love your posts – thanks for everything you provide! Thank you. You can relax with the Ultimatesafe knowing that you’re gear is safe. I love it! Enjoy your trip. I’ve never been to Austria. I’d love to hear how it goes. Is this your first time there? I was there once before, on an awesome snowboarding vacation at a place called Ischgl (yes, only one vowel in there!) It was beautiful; a quaint little mountain town in the Austrian Alps – just as you’d imagine it would look…This time I’ll be in Vienna, and have never been there before. I will definitely check back in with details when I get back, I’m so excited to explore all the history in such a great, old city! The water filter is on my buy list. It’s awesome and really easy to use. I wish I had it in Mexico when I was there last. Back pack looks cool, thanks for sharing. I can’t wait to use it when I travel to Canada to visit my family. With several airport stops along the way, it will give me a little safety relief. 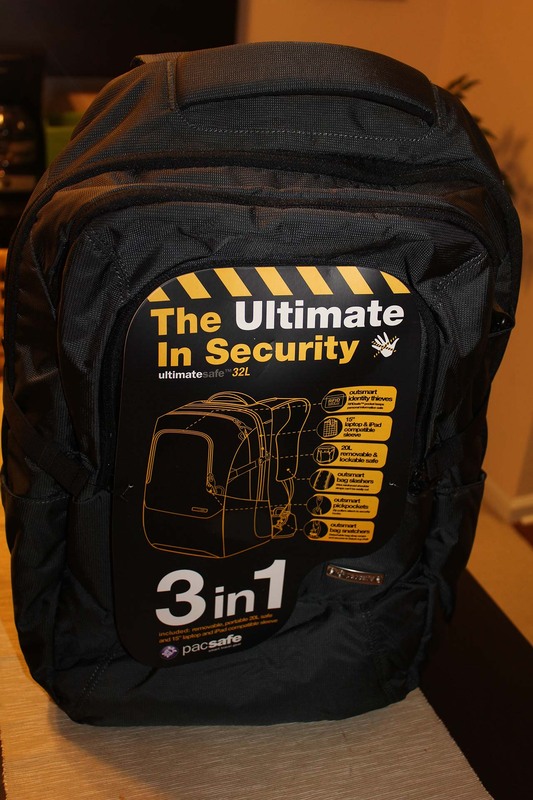 Love the ultimate safe backpack…generally speaking, that is where my items of value would be rather than the big pack…if someone wants to steal my dirty clothes, they can go ahead but my camera, laptop etc…would be devastated. Not sure if my post went though, sorry if this shows up twice! How did you almost lose your bag? We are going to Belgium, Holland and Germany soon and the more I read, the more nervous I am that we will be ripped off. I am generally cautious but I don’t want to spend our trip being paranoid either. Speaking of cameras though, have you ever needed to bring receipts or claim your own electronics through customs? I’ve only ever been to Ireland in Europe, but I’ve read several suggestions to be prepared to show proof of ownership. Wanted to run it by you. Hope you’re doing really well! The incident in Belgium was entirely my fault. I thought I locked the locker in the train station, but sadly I was mistaken. Luckily a security guard saw the unlocked locker with two unattended bags and he brought them to lost and found and called the Canadian Consulate. Unfortunately, for 8 hours my mother feared someone had killed me, but as was well in the end. As for receipts, I’ve been to over 30 countries and I usually travel with a camera, a computer, etc. and I’ve never needed any paperwork. I can’t guarantee anything, but that was my experience(s). Have you ever been to Belgium, Holland or Germany? I loved all three and I think you’ll particularly enjoy Holland. It’s beautiful, exciting, unique, and friendly. Thanks for replying. Besides your Mom being scared, I’m glad everything worked out ok with your bags! I’ve never been to Belgium, Holland or Germany, so I’m really excited. We will be spending more time in Germany than anywhere else, but I think we’ll get just enough of a sampling to know where we’d like to visit again. I’m glad you hear you enjoyed your trips. Thanks for the feedback on receipts by the way. I saw travel books mentioning it so often that I was unsure how serious it was. Great Travel Items – thanks for sharing! Wow, I never heard of the Ultimatesafe! I have some valuable camera gear and there is a camera insert for the bag that would be perfect! That’s one of my favorite parts about it. My camera, that holds all of my memories during travel, is the most important thing to me. wow on the water purifier and the amazing baggage! Now I’m anxiously awaiting the arrival of my daughter’s passport so I can use them. I got the backpack from http://www.walkabouttravelgear.com/pack.htm. They have the best travel gear and so many options! Thank you for visiting my blog and liking my posts. Makes me want to go shopping’! Thank you for liking my recent posts! I really love your blog. So much helpful and interesting information! 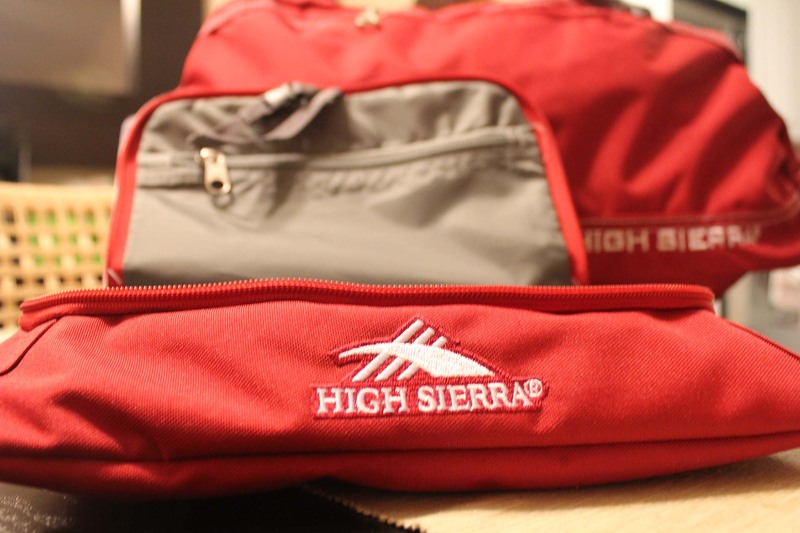 I particularly love the High Sierra 24 Inch Pack-N-Go Duffel Bag! It costs next to nothing, the quality is amazing, and it’s versatile! What more could you ask for? Great duffel bag! It looks like something all of my children would enjoy. Hi Lesley thank you for liking my blog posts i’m surprised you found it only started last week! 🙂 anyway great read planning on going inter railing through Europe for the month of August so your blog has been really Interesting and helpful! keep up with what already is a very successful blog from what I can see! Thanks so much for following our Rx 4 Fun Travel blog! We appreciate you and hope you enjoy the posts! I love travel accessories! Great post, I am one who never checks luggage and can pack a lot of clothes really tight. So I always appreciate these kinds of tips.Thanks! Who new backpacks could be so hi-tech? I’m more of a skier, but it’s always cool to learn about new things. 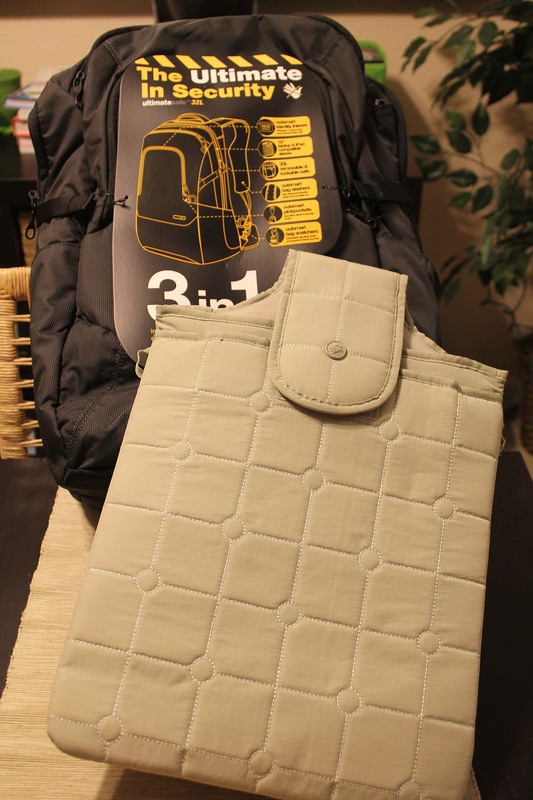 Two of my favourites … bags and pockets! That backpack looks perfect for travelling with all my stuff, and I’m always looking for those inside pockets on jackets/coats, which they only have for menswear. This is cool Thanks!